He remains ever faithful and true. ​Mini breakfast will be provided. Explore the Bible is our Sunday School Bible study guide for: Pre-school, Children’s, Youth and many of our Adult classes. A Book-by-book Bible study that takes participants deep into the context of God's Word and challenges them to live it out in their own life. 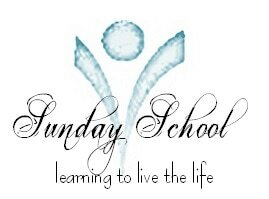 We have just completed three Sunday School Teachers Town Hall Events. It has been a sweet time of learning and fellowship with our teachers. Together we have re-focused our purpose for Sunday School which is the foundational strategy for leading others to a saving faith in our Lord Jesus Christ, and for building mission minded Christians through open Bible study groups. When we engage our classes in: Prayer, Worship, Fellowship, Ministry, Discipleship and Evangelism; we understand our why and we walk with purpose. Please keep your class roster up to date.If a class member has moved away, attends another church etc. please provide information. Who do you know that is un-churched? (Out-Reach) Invite them to join you for Sunday School.